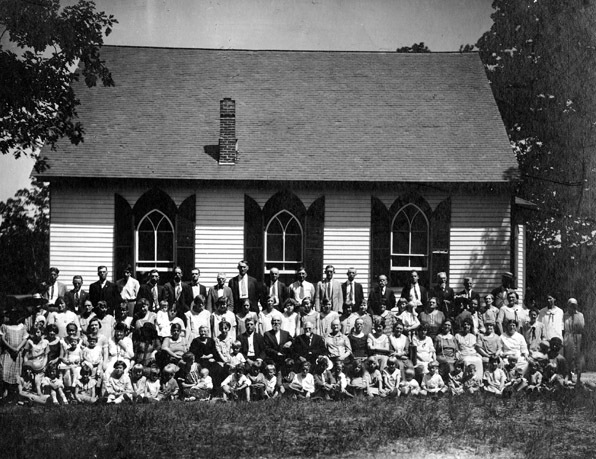 Comments: The congregation of Fluvanna Baptist Church gathered for a group photo by William Burgess, taken just outside their meeting house. The church, built in 1852, is located a short distance to the east of Scottsville on SR 6. 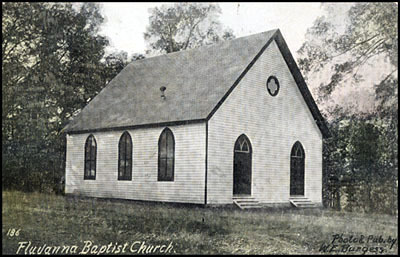 Shown below is a postcard of this church, produced from a ca. 1910 Burgess photograph.